The song “Going on a Bear Hunt” is a hit in one of the toddler rooms in Greece. 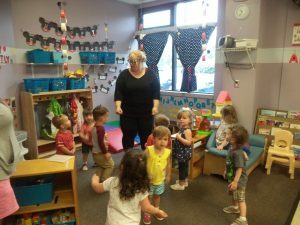 After paying attention to what the teacher was doing, the toddlers were quick to catch on in doing the movements and singing the song. Listening and following directions are acquired skills. Sing-a-long songs are fun and children love to sing them over and over. Since children learn through repetitions, sing-a-longs are perfect to master listening skills. 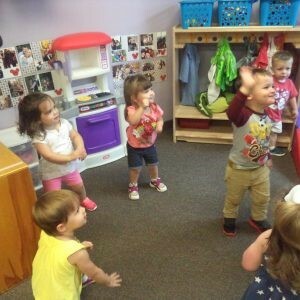 As they learn to follow directions, children move to the music using various muscles. This is important for their muscle development and large motor coordination.